The Top of the Gulf Regatta won silver in the category “Best Amateur Sports Event of the Year in Thailand” at the recent Asian Sports Industry Awards (SPIA Asia 2016), beating out strong competition from around the country and a record number of 208 entries across 17 categories. “A panel of independent sports industry experts from around Asia judged on all the entries and we are very proud to have won this award”, said Scott Finsten, Harbour Master of Ocean Marina Yacht Club in Pattaya, host venue of the annual event. “There were 17 award categories in total and Top of the Gulf Regatta was the only sailing event to win, testament to the hard work and professionalism of many over the years that have helped raise the event to this international standard,” he added. 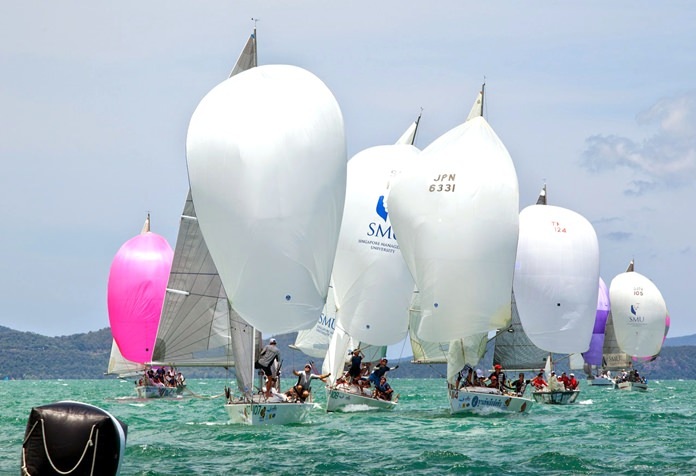 Being the only marina-based regatta in Thailand, organisers are now looking to 2017 and plan to focus efforts on attracting more international and charter entries from around the region, launching targeted marketing campaigns in Australia, Hong Kong and Singapore. The 13th Top of the Gulf Regatta will take place 4-8 May, 2017 at Ocean Marina Yacht Club.